How are your New Year’s resolutions travelling so far? You wanted to improve your health, increase your bank account, and spend a bit more time with the family. What about putting your plumbing on a diet? The health of our plumbing is rarely thought of, but the water quality and the condition of our plumbing pipes can also affect overall health. That has a knock-on effect with our families and our wallets. Every fixture in your home is affected by unhealthy water, and that doesn’t mean hard water. Our drinking water has chlorine, fluoride, and other chemicals. If you have a filtration system under your sink you are drinking well-filtered water. Or, you prefer to drink bottled water. But consider the water quality that is being distributed through every tap. When you cook, you use tap water. When you have a bath, you simply turn on the taps. Taking a shower your pores are absorbing chlorine and the other chemicals, and the hard water is causing skin and hair dryness. If you think about it, hard water is costing you money. 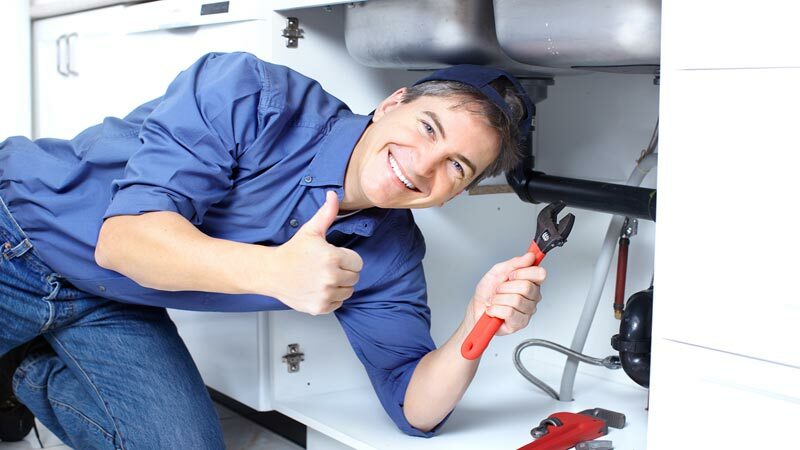 Most people don’t like to spend money unnecessarily on plumbing repairs. The life span of all your plumbing fittings is affected by hard water – taps, shower valves, water heater, toilets, supply lines, and if you are spending money to colour your hair, hard water is shortening the lifespan of that as well. The average lifespan of a water heater is somewhere between 7 – 10 years and hard water is one of the culprits that causes shorter life. If you look at the capital outlay for a water heater, about $1500, depending on the type you buy, you will want to get a reasonable number of years of use out of it. Hard water is due to the calcium content and it can also calcify the ports on a toilet. That means a less than effective flush which can result in the use of a plunger. Toilet replacement may be the ultimate solution. The bottom line is that hard water is just that, hard, on your appliances as well as your plumbing. Using bamboo to create furniture is not something new, especially in parts of Asia. It is thought to symbolize a strong and healthy life, and is a very resilient plant that requires little care and has the ability to regenerate itself. As environmental awareness grows, the popularity of products that support or do not negatively impact the environment increases in demand among users world wide. Bamboo is considered eco friendly because they grow pretty quickly and do not require fertilizers, pesticides and even much water. Bamboo grows so fast that it is said to yield twenty times more timber than trees in the same area. 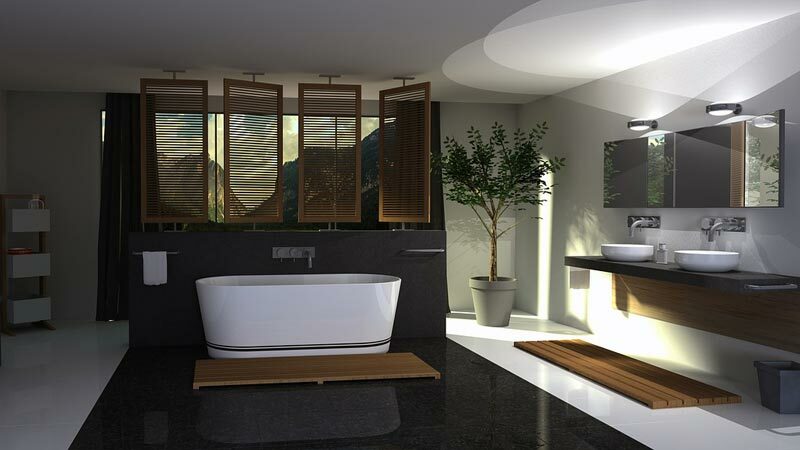 The advantages of using bamboo for building your bathroom cabinets are many. 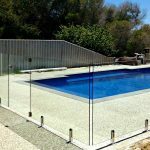 It is considered an excellent choice for wet environments because it is extremely durable and more water resistant than oak wood. 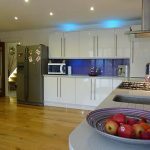 Plenty of designs for bamboo cabinets are available; some following traditional design and others looking more contemporary, sleek and modern. 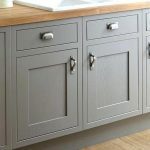 Whichever design it maybe, bamboo cabinets serve their primary function of providing storage space that is durable, sustainable and also eco friendly. 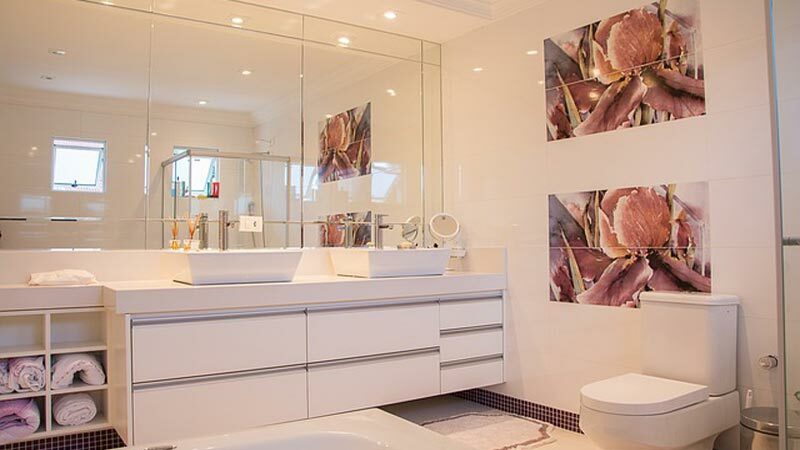 If you have read bits and pieces on interior decor or tried building a home before, you would probably know that there are two kinds of bathroom vanities, just like kitchen sets, bedrooms or any other furnishing/ décor fit for a specific space in the house. 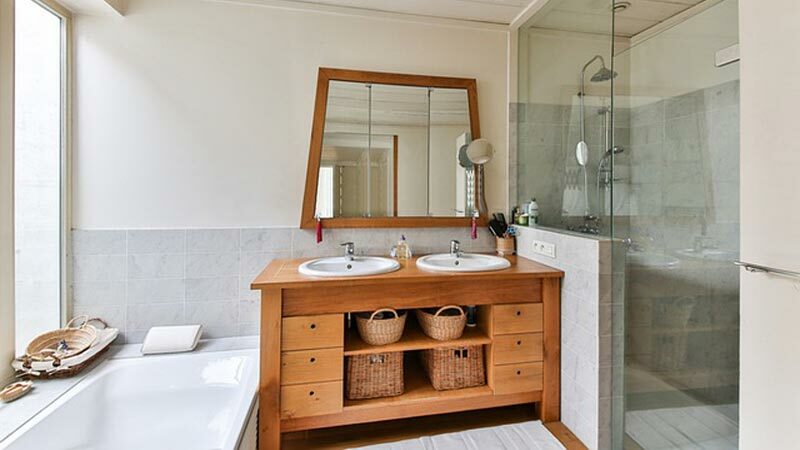 These two types are custom design bathroom vanities and prefabricated ones. Obvious enough, customised sets are the ‘one of a kind’ varieties that customers can select / design / modify according to their choices (better done with the assistance of a professional interior designer). These sets can be produced to fit any dimension, requirement, budget, colour code or style. 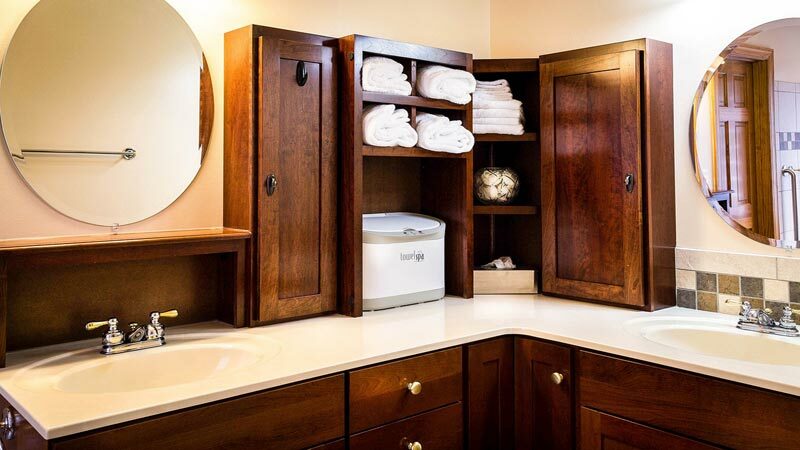 When considering bathroom vanities, remember that while style and class are certainly important, so too is the colour scheme that you employ. 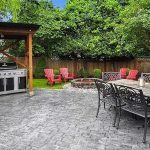 Indubitably, what you as an individual should do is reflect on your own personal style and taste, If you feel that you as an individual are quaint and opulent, then the Victorian trend would be ideal for you. If you feel you are a no-nonsense type who prefers to have a simple ambiance, then maybe you would choose the minimalist trend. Either way, every single trend does require a colour palette of sorts.